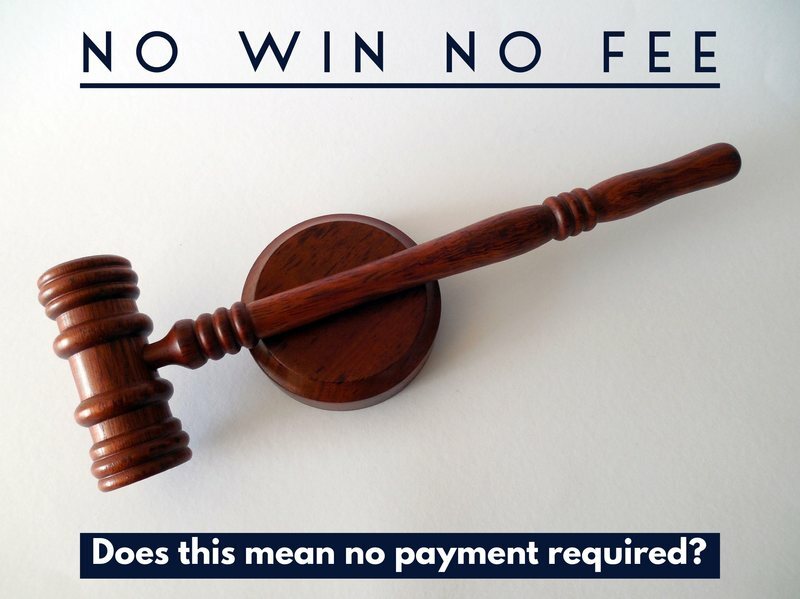 ‘No win no fee’ explained: What does it actually mean? You might have heard about ‘no win, no fee’ agreements that certain law firms offer existing and prospective clients. This type of arrangement is also known as a conditional agreement and government sources often refer to it as a Conditional Costs Agreement. Many people find this type of offer an attractive prospect, due to the fact that upfront legal fees can be waived. However, it can prove confusing, so we thought we would explore this legal term more fully, to keep you best informed about the particulars. Some people assume a no win no fee agreement means that if you win your case, you incur no fees at all. Unfortunately this is not accurate. The conditional costs agreement is prepared by a solicitor and details the conditions under which payments are structured. For example, the solicitor agrees to defer their billable hours until a successful outcome has transpired. Usually, the solicitor then deducts their fees from the settlement money you receive as compensation. This assumes that you are victorious in your claim. In the event that the outcome of your case is not successful, you are still obligated to pay the solicitor’s fees. Additionally, you may have to pay the other party’s fees as well. These are referred to as ordered costs. The Law Society of NSW’s no win, no pay section clearly explains what legal fees you can expect to pay. There is also a specific note that addresses what happens if your case is unsuccessful and the legal costs you may be required to pay. Unfortunately many people are unaware of these fees when they hear or read the terms ‘no win no fee’ or no win no pay. This is why it’s very important that you read the agreement carefully before signing. Similarly, you should ask your lawyer to explain any parts that might seem ambiguous. It’s imperative that you understand the difference types of fees involved in a legal matter. Prospective clients often query what legal fees are actually payable when they make a claim. However the ‘no win no fee’ agreement only covers one of them. These fees relate to the services that have been provided by your lawyer. This also includes fees pertaining to administrative staff who have assisted your lawyer in preparing the claim. These refer to the expenses your lawyer has paid on your behalf. For example, court fees, barrister fees, medical reports etc. To read more, the Australian Federal Court outlines legal fees and costs that are included. Disbursements are not included as part of the ‘no win no fee’ agreement. These costs relate to your case and were paid by your lawyer. These must be repaid and even if your claim is unsuccessful. The Law Society of NSW highlighted another important aspect regarding disbursements. Solicitors can “ask clients for money in advance” for disbursements. What’s important to remember is that a solicitor is required to provide you with a detailed account of how this money was spent. What does a successful outcome mean? Professional fees are outlined in the ‘no win no fee’ agreement and it’s this aspect that most refer to when they’re offering deferred payments. Law firms interpret the phrase ‘successful outcome’ differently and the time frame attributed varies. This is why it’s essential that you closely review the agreement prior to signing, paying special attention to the definition of a ‘successful outcome’. Can you terminate your agreement and engage another lawyer? Yes you can. However, if you terminate or take your file elsewhere, a clause exists requiring you to pay for this change in circumstances. 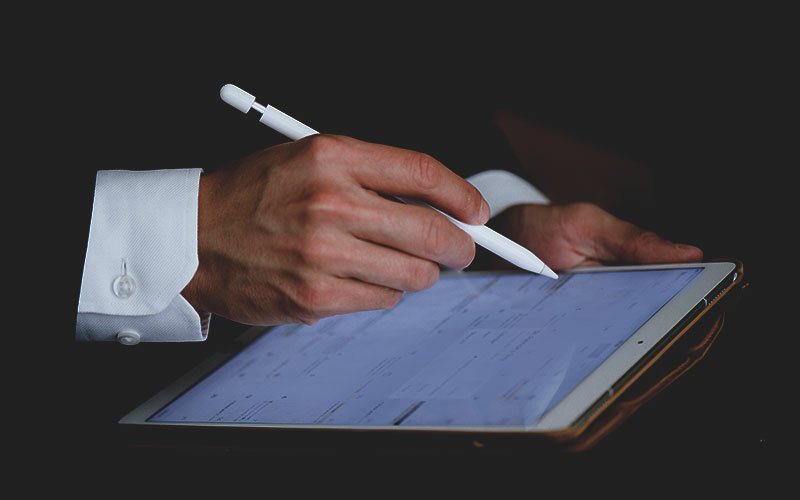 Depending on the law firm, the client or firm may be permitted to sign an agreement/undertaking that the fees will be paid to the firm first, upon successful completion. It’s important to note that usually disbursements need to be paid upon termination and prior to the file being released. What types of legal matters are appropriate for conditional agreements? An example of a personal injury matter can be an MVA – motor vehicle accident. Public liability claims according to NSW Service, pertain to damage to your car or other property on NSW roads. “If your car or other property is damaged due to the condition of a NSW road”, you may be entitled to receive compensation. This is a prime example of a public liability claim that no win no fee lawyers handle. If you experience an injury while at work, you are entitled to claim workers compensation. This needs to be addressed quickly and in NSW, within 6 months from the date of the injury. Engaging a no win no fee lawyer helps you to expedite the process, so that you receive the funds while you’re recovering from the injury. SIRA (state insurance regulatory authority) is the NSW government body that assesses worker’s compensation matters. SIRA outlines the different types of claims that are available if you suffer a work related injury. Medical negligence claims occur when you suffer an injury as a result of a medical practitioner’s wrongdoing. These claims, often referred to as medical malpractice claims, are usually made against doctors and sometimes even hospitals. Some lawyers accept deferred payments in the area of Family law. For example, in certain property matters where the property is going to be sold or the client is going to receive a lump sum payment. Such matters are determined on individual merits. There are many types of claims like the aforementioned, where a deferred payment is highly advantageous. No one likes being sick and a sudden injury or medical condition is very confronting. During these extremely difficult periods, the last thing you want to think about is how to pay a lawyer to help you. Focusing on your health and well-being needs to take priority. Especially when injured or sick and unable to work, it is a very scary prospect trying to ‘right a wrong’ in the face of financial anxiety. This type of deferred payment agreement enables you to remove the additional stress that legal fees often cause. The legal services council prepared a PDF about no win no fee and explaining some of the intricacies. NSW, OLSW (office of the legal services commissioner) prepared a document outlining some of the questions many people ask with respect to deferred payments. The Victorian government no win no fee fact sheet is a great resource if you would like to learn more. Do you have a claim that you feel is appropriate for a no win no fee lawyer? SCB Legal’s caring lawyers champion all people’s rights and offer a FREE consultation. Have you entered into a no win, no fee agreement? Tell us about your experiences. We love hearing from our law blog community and encourage you to share your thoughts with us. I have a case and require your attendance immediately. Her Majesty’s servants, under the first law officer of the Crown in right of the Commonwealth, withdrew an employment offer, upon discovering my rebellious history on these lands. I must seek revenge and restoration of my honour and require you to fight by my side for justice in this unjust world. No win / no fee is indeed a misleading misnomer, therefore, I propose to draft a no win / no fee contract true to its epithet. The client is under no obligation to pay legal fees unless settlement is reached, or damages awarded, and the total legal fees must not exceed 75% of the settlement or damages. Let me know if you’d consider accepting the above terms and I shall see you outside court. ps. I have posted you letter with my clandestine contact and expect telephone attendance by nightfall. Could you please contact our office to discuss your matter further so that we may obtain more information from you. or you can call us on 47 222 050. I didnt know that i might still have to pay my legal fees even if i change lawyers. i have a personal injury matter and wonder if you can this matter on no win no fee please. Yes, if the law firm has incurred costs for disbursements such as reports or postage then they can require you to pay this money prior to releasing your file. or call our office on 47 222 050. I’m glad the blog loaded quickly. I’m glad you enjoyed the Law blog and for referring others to our site. Good way of describing, and pleasant piece of writing to obtain data regarding my presentation topic, which i am going to present in school. Good luck with your school presentation. We’re glad our Law blog has been informative. site before but after browsing through some of the posts I realized it’s new to me. Good evening! Thank you so much for taking the time to write to us and providing such wonderful feedback! We love hearing from our readers. will come back someday. I want to encourage yourself to continue your great posts, have a nice afternoon! We’re glad you enjoyed reading. What’s up to all, the contents existing at this website are actually remarkable for people experience, well, keep up the good work fellows. Thank you for the brilliant feedback! It’s very much appreciated. We are glad you enjoyed our law blog. Would you like to be notified of new blog posts? Our newly published blog is about Social media law. It’s a global issue and has sparked a lot of debate. We are looking forward to hearing people’s thoughts. Get involved in the discussion and have your voice heard. It’s a very important topic that could change what you can post on social media. Quality posts is the main to invite the users to pay a quick visit the site, that’s what this web page is providing. Are there particular law blog topics you would like to read? Please let us know and it would be our pleasure to develop related content in the near future. 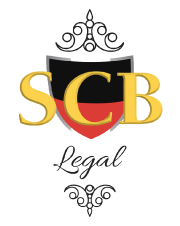 When you join SCB Legal’s blog community and participate in discussions you can even receive FREE Legal Advice!